National Board Certification is the most respected professional certification available in education and provides numerous benefits to teachers, students and schools. It was designed to develop, retain and recognize accomplished teachers and to generate ongoing improvement in schools nationwide. Assessing for National Board is a great professional development opportunity, and an invaluable part of the National Board Certification process. The College of Education and Human Development (CEHD) at George Mason University partners with the National Board for Professional Teaching Standards to offer graduate credit to teachers who participate in the National Board Assessor program. At Mason, NBPTS Assessors may receive graduate credit for their work. Experiences of participating in the NBPTS Assessor Training and subsequent assessments of entries to NBPTS provides educators the opportunity for professional growth and development intended to enhance their own teaching by reviewing innovative documents, observing other teachers via video taping of teaching episodes, and working collaboratively with other assessors. your completed enrollment form filled out and faxed to: 703-993-9380. We can not accept emailed enrollment forms. payment of $330.00, $660.00 or $990.00 using TouchNet (link below). For National Board payments made by schools or other third party please contact our office at nbcr@gmu.edu to receive information about invoicing and third party billing. Once all documentation is received, you will be formally registered for the graduate credit course. You will receive an email with news that the graduate credits have been awarded, and directions will be given at that time for how to download and/or print a transcript reflecting the credits. Please do not request a transcript until you have received confirmation of enrollment and your grade from George Mason University. Reprinted with permission from the National Board for Professional Teaching Standards, www.nbpts.org. All rights reserved. 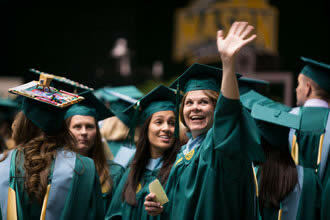 © 2019 Graduate School of Education - George Mason University.